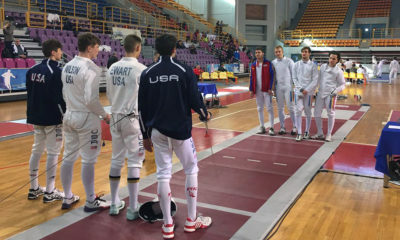 Congratulations to our fencers who represented the SoCal Division and LAIFC in Junior and Cadet events at the World Championships held in Plovdiv, Bulgaria. In cadet women’s epee, Kasia Nixon put up a strong finish and took home a bronze medal. In cadet men’s epee, Justin Yoo fought hard but lost 15-14 to take home the silver while Charlie Horowitz finished 29th with one more year in cadet to fence. Justin Yoo in the Junior Men’s epee event performed excellently and took the bronze medal home. Two medals in a week at the world championship level is amazing! Keep up the great work. Let’s root for the US Men’s epee team where Justin will be fencing for the US as well. 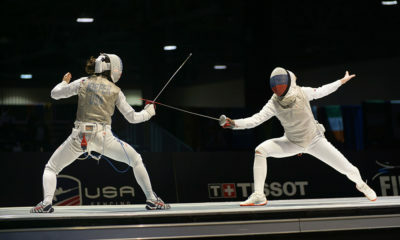 Video can be found on the FIE YouTube channel and results can be found at www.fencingworldwide.com.